The U.S. intelligence community has been clear about the threat posed by Russian political interference and will continue "to provide unvarnished and objective intelligence" assessments, the Director of National Intelligence said on Monday. His response and refusal to acknowledge or condemn Moscow's interference in the election stunned U.S. political and intelligence officials. "We have been clear in our assessments of Russian meddling in the 2016 election and their ongoing, pervasive efforts to undermine our democracy," the director, Dan Coats, said in a statement. Shortly after his statement, Trump sent a tweet as he was flying back to the U.S. aboard Air Force One, saying "As I said today and many times before, 'I have GREAT confidence in MY intelligence people.'" "However, I also recognize that in order to build a brighter future, we cannot exclusively focus on the past — as the world's two largest nuclear powers, we must get along!" he added. 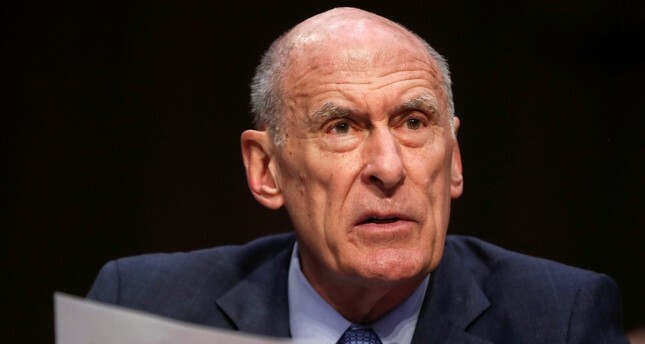 Earlier in the day, Coats had also warned that the threat of cyber attacks against the U.S. was at a "critical point," branding Russia as the most "aggressive foreign actor" ahead of Trump's meeting with Putin. "The warning signs are there. The system is blinking. It is why I believe we are at a critical point," he said. "Today, the digital infrastructure that serves this country is literally under attack... with the worst offenders being Russia, China, Iran and North Korea," Coats continued. Coats said they target businesses, all levels of government, private institutions and elements of "critical infrastructure" -- adding they are intended to undermine democracy on a daily basis, regardless of whether there are elections. Coats said that in the run up to mid-term elections later this year, the U.S. has not yet seen electoral interference similar to that experienced in 2016.